Integrinautics was a developer of machine control solutions in applications that require a high level of accuracy, consistency and availability using GPS technology. It held patents on a number of positioning solutions that automatically maneuver and steer equipment, map terrain, and land aircraft. Given the company’s expanding capabilities and newly developed proprietary technologies, it was determined that the company name had become self-limiting. 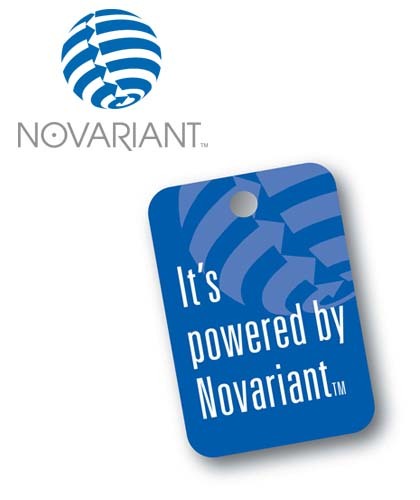 After adopting a more expansive name, “Novariant,” a new corporate identity that fully leverages and amplifies Novariant’s unique offering was of paramount importance. The Novariant globe, with its positive/negative two-way arrows suggests that Novariant empowers its constituents with the means to obtain reliable positioning information from anywhere on Earth.